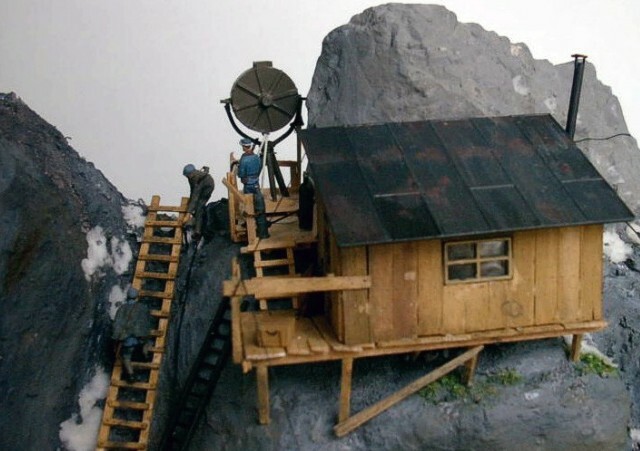 The diorama depicts an Alpine position of the Austrian k.u.k. 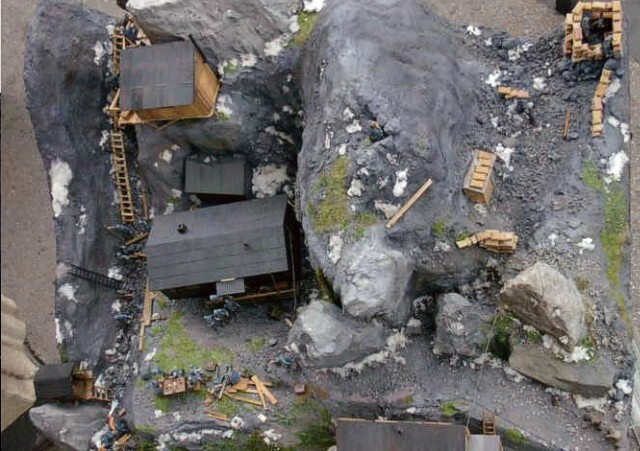 Army in WW I. Shown is a group of officers posing for a photo in front of the company HQ. 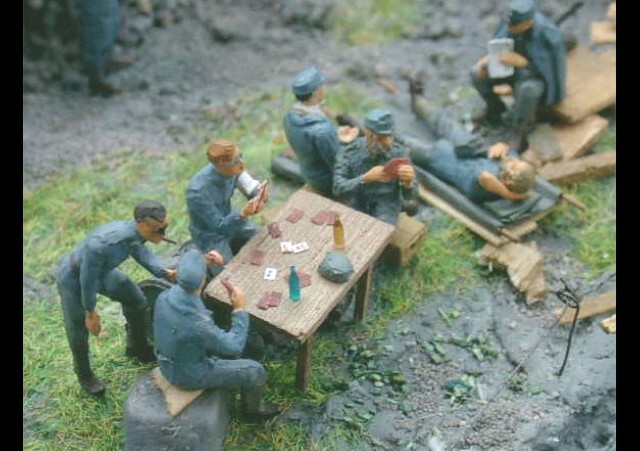 Medics playing cards while waiting to descend with some wounded. A spotlight position. 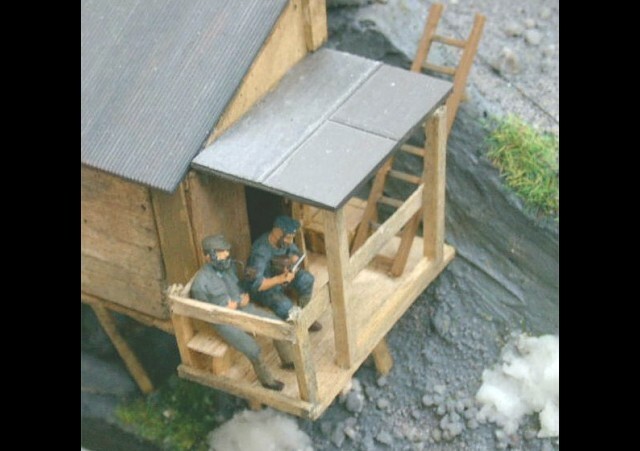 And two soldiers eating in front of their hut fastened to the mountainside. 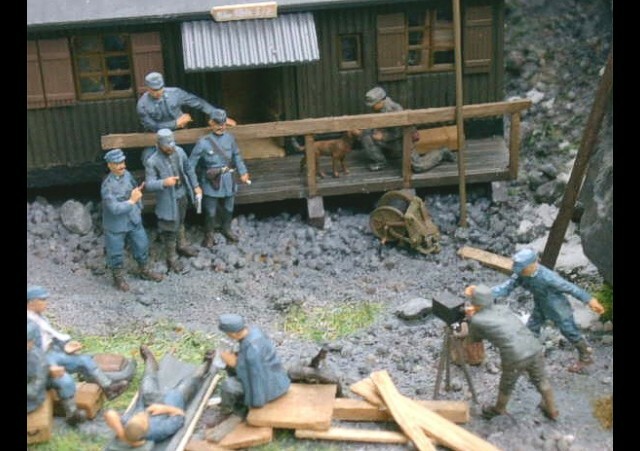 Figures are redone from all sorts of commercial soft plastic and resin figures ranges (Hät, Airfix etc; ACW, WW I and WW II as well as Preiser Germans WW II).